When was the last time you dined at a restaurant for the ubiquitous bottomless brunch in Miami without having to sacrifice a little something? 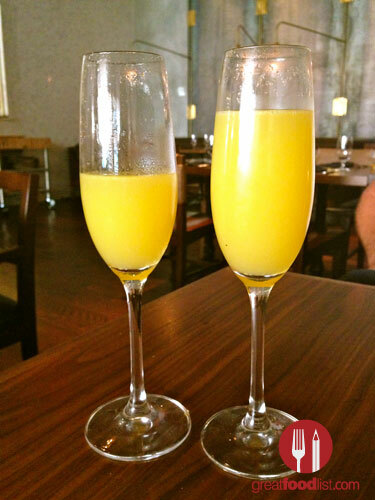 Whether it was the location, food selection or quality, it seems that we have to compromise a little if we’re looking for endless mimosas and a top-notch experience. 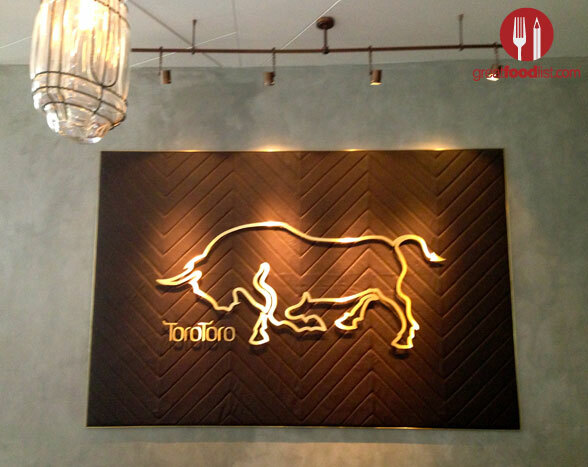 However, fret no more because that’s all changing with Toro Toro Restaurant located inside the renovated InterContinental Hotel in Downtown Miami. 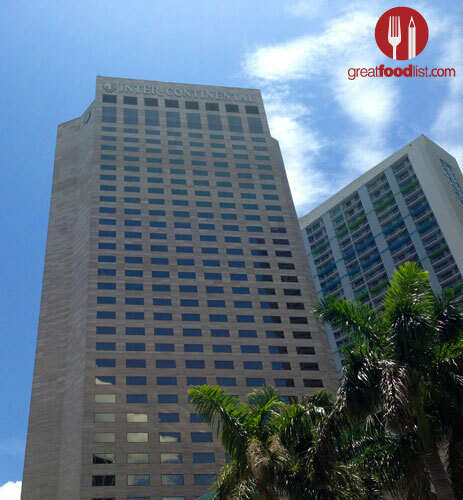 Renowned and award-winning Chef, Richard Sandoval, has aptly brought his signature Latin American cuisine to South Florida in hopes of converting us all to fans and restoring our faith in the hybrid meal consumed on weekends. With a small-plate menu, meant to share and indulge in a variety of foods, Toro Toro’s all-you-can-eat brunch is a flat fee of $35. Let’s not forget this amazing deal is also inclusive of bottomless brunch cocktails! Our excitement began the moment we sat down and saw the menu. Immediately, we began to order a plethora of small plates that would soon enough be devoured. We’ll start by highlighting the most memorable dishes beginning with the Mexican City Style Hot dog. The dish is Chef Sandoval’s take on the traditional American favorite, except this hot dog was a chorizo wrapped in bacon, with black beans, pickled chiles and a dab of creamy slaw. It was strong and tasty and full of rich flavors, with just the right kick to it. After a successful first dish, we munched on the Pan de Bono (cheesy, buttery bread) that the server brought over in replacement of the traditional bread and butter before a meal. It’s these little unexpected touches that truly make Toro Toro stand out. Our Pan de Bono was followed by the Short Rib Arepa Benedict, a crispy dough arepa (traditional Colombian corn cake) with braised short rib that was accompanied by a poached egg and chili sauce. 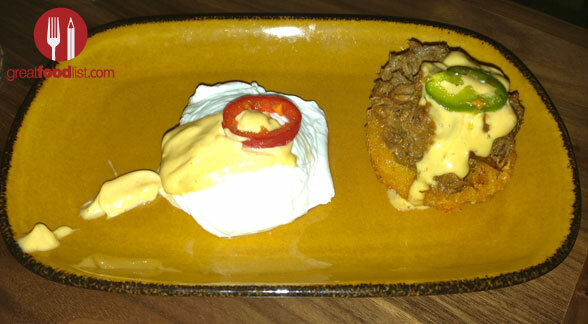 We’ll guilty admit to ordering three, yes, three small plates of the Short Rib Arepas Benedicts. Needless to say if given the chance, we’d order a few more. The Short Rib Arepas are a must. 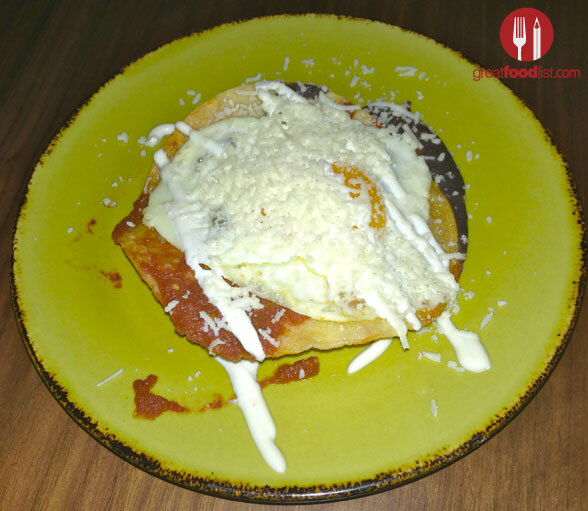 We also tried the Cachapas, a dish we weren’t very familiar with, but would venture to discover a million times over. These were corn pancakes topped with melted cheese and tomato jam. The dish had just the right amount of sweetness and it was fluffy yet crispy on the edges, an excellent combination of all the right things. 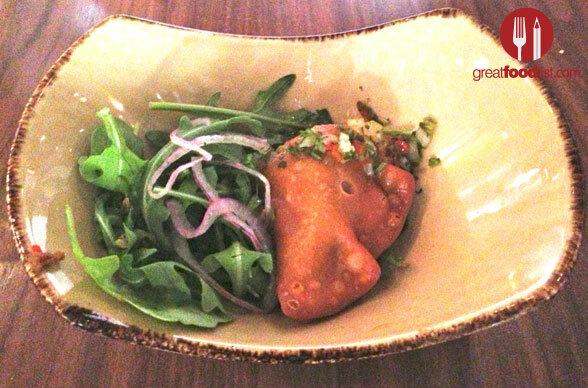 A similar dish that we tried was the Picadillo Empanada, Sandoval’s take on the traditional Latin American pastry stuffed with ground beef and raisins. 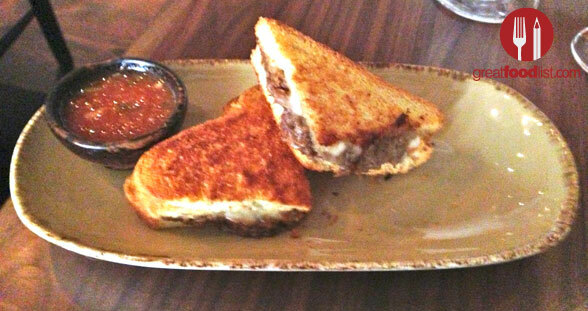 Our last small plate was the Beef Barbacoa Grilled Cheese, which had braised short rib, toasted brioche, bel paese (semi-soft Italian cheese) and aji rocota salsa, which added just a teasing hint of spice that left us ordering another portion! We ended our gluttonous journey at Toro Toro with the Mexican Chocolate Waffle. 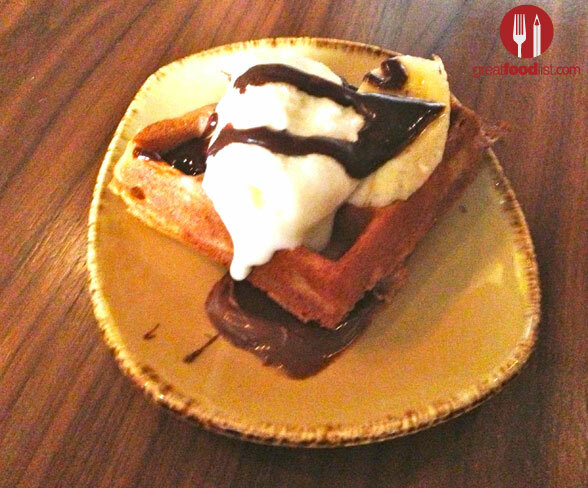 A soft, savory dessert with chocolate, nutella, slices of banana and fresh cream ice cream neatly nestled on top of a warm, puffy waffle. While we were busy indulging in the unique Latin American brunch, the service was spotless and the mimosas kept flowing without having to call on the waiter. 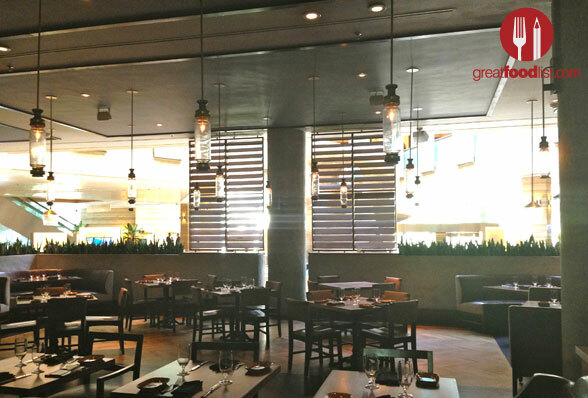 It should also be mentioned that apart from the bottomless brunch, Toro Toro also has a brunch option of Churrasco style meats which has hand-selected choices by Chef Sandoval like Australian Double Lamb Chop and Picanha Style Steak (guests can choose two of five choices for $20). Most recently, Toro Toro was the recipient of the OpenTable.com Diner’s Choice Award, which leaves us pretty convinced that the superb food is also consistent for their lunch and dinner menus. 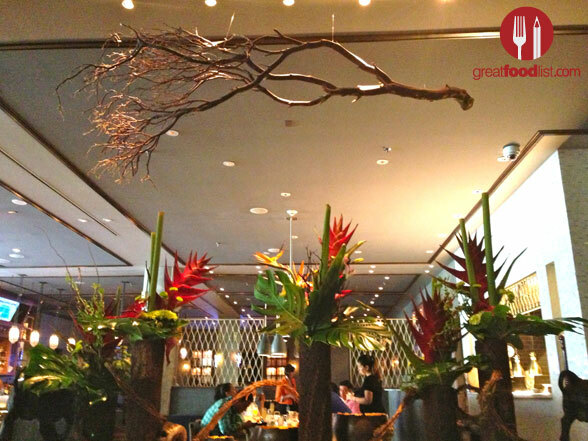 *Toro Toro’s unlimited brunch has a two-hour limit per table.